The death of Chinese dissident Liu Xiaobo, aged 61, from cancer on July 13 stands as a condemnation of China’s dictatorship and its shockingly cruel, repressive methods of rule. Liu was given a diagnosis only weeks ago of late-stage liver cancer, which could perhaps have been treated successfully if earlier medical attention had been allowed. In effect, the Chinese regime imposed a death sentence on Liu when it sentenced him to 11 years in jail at a political trial in 2009. “The Chinese government’s arrogance, cruelty, and callousness are shocking,” said Sophie Richardson, China director at US-based Human Rights Watch. Right up to his final day, friends and supporters had pleaded with the authorities to allow Liu to travel abroad for treatment and palliative care. This was denied by the regime, which feared the negative publicity. An internal power struggle is raging as Xi Jinping seeks to consolidate his position at a key autumn congress, while China’s policies also face myriad challenges on the global stage, and therefore the regime is obsessed with image projection and does not countenance any event that will not go according to its script. At the same time, the Chinese regime knows it will face only slight pressure – at most – from foreign governments who for a long time have put business interests before delivering lectures on ‘human rights’. Liu Xiaobo himself was abandoned by these governments which he regarded as role models for China. “Mr. Liu’s fate reflects how human rights issues have receded in Western diplomacy with China,” notes Chris Buckley in The New York Times. Liu Xiaobo’s widow, Liu Xia, has also suffered grim persecution since his imprisonment in 2008, becoming a virtual prisoner herself. There are now concerns over her safety with the regime unlikely to grant her request to leave China. “I think it is a political murder,” said fellow dissident Hu Jia. He and other dissidents say the regime’s refusal to allow Liu Xiaobo to travel overseas was an attempt to shorten his life, and ensure he could not criticise Beijing in his final moments. The mood especially among Liu’s coterie of liberal dissidents is one of grief and despair at the passing of one of their leading figures, and the general predicament their movement finds itself in with a regime that shows no willingness to shift an inch from its hardline, increasingly repressive stance, and ‘democratic’ governments that don’t really care. Liu Xiaobo was sentenced to 11 years in prison for allegedly “inciting subversion of state power”. At the time the severity of the sentence was a shock, but this marked an intensification of state repression on all fronts and with many more victims. Liu, who was awarded the Nobel Peace Prize while in prison, became the country’s most famous political prisoner. He was a well-known intellectual since the 1989 Democracy Movement in Beijing and was jailed on two previous occasions for his political writings. In December 2008, he and another 300 dissidents drafted and co-signed Charter 08, a manifesto based on the Czechoslovak Charter 77, which calls for human rights and democracy, but also a market economy and privatisation in China. Liu became a victim of a wave of repression which has intensified under Xi Jinping and is now the most severe crackdown for two decades. As chinaworker.info wrote at the time of Liu’s trial this was a warning sign raising “important questions about where China is going, and why the regime feels so threatened despite what appears to be great economic successes”. We explained that the repression was aimed not only at pro-US and liberal dissidents like Liu, but also against the left-wing, socialists, Maoists, as well as ‘non-political’ victims of government policy. The supporters of the CWI in China have protested against the sadistic treatment of Liu Xiaobo and his wife while never concealing our deep political differences with his pro-capitalist and pro-imperialist ideas. The following is a shortened version of an article appraising Liu’s political standpoint published on chinaworker.info on 17 March, 2010. Protest by League of Social Democrats in Hong Kong to demand release of Liu Xiaobo. In 2008, Liu Xiaobo and his co-thinkers, including some establishment figures such as top economist Mao Yushi and legal scholar Zhang Zhuhua, drafted and co-signed Charter 08 to call for “freedom, human rights, equality, a republic, democracy and a constitution”. Rather than an attempt to “subvert the state” or launch any form of organised opposition, Charter 08 is in reality an appeal addressed to the CCP regime (Chinese ‘Communist’ Party) urging it to adopt political reform. Liu Xiaobo defends capitalist “economic reform”, but wants the regime to make further political reform to transform China into “a real market economy”. 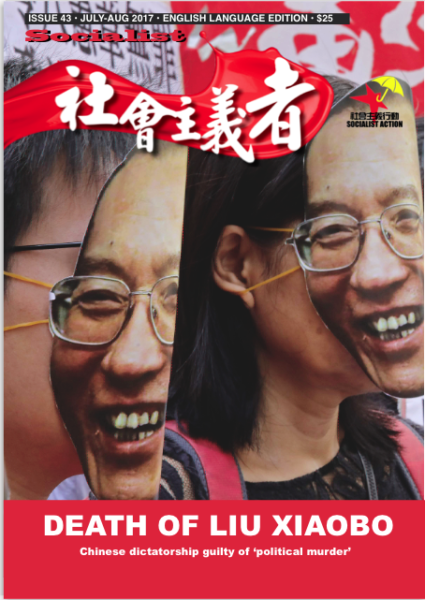 The regime’s punishment of Liu Xiaobo is therefore not because his ideas represent a decisive or clear alternative, but rather because he has challenged its authority and the interests of the ruling elite with the publication of Charter 08 and other writings. His liberal pro-capitalist views pose a challenge to the CCP-led model of capitalist development. As Liu Xiaobo mentioned in a 2006 article, today’s CCP is a party purely based on “economic interests” and no more an “ideological” party. Keeping power was always the utmost objective for the CCP bureaucracy, even in the early years when, like the Stalinist Soviet Union, it rested on a top-down planned economy with full state ownership. Therefore, when the Maoist-Stalinist economic model entered a serious crisis more than thirty years ago, the CCP regime shifted step-by-step into accepting and leading China’s capitalist development, while keeping dictatorial power. 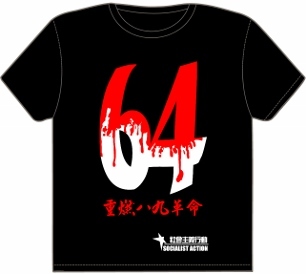 Socialists strongly protest the persecution of Liu Xiabao, while we do not support the political ideas contained in Charter 08. While Marxists and genuine socialists fight for basic democratic rights including many of the demands the charter raises, we completely reject its political conclusions, which do not offer a way forward for the struggle against dictatorship. Charter 08 calls unequivocally for capitalism and bourgeois property relations. If implemented, the privatisation of farm land advocated by Charter 08, and also by sections of the CCP hierarchy, would inevitably and quite rapidly lead to massive concentration of land in the hands of new landowning elite with strong ties to finance capital, while millions more poor peasants would be driven from their land without other means of making a livelihood. Instead of land privatisation, socialists call for democratic and voluntary farmers’ cooperatives to develop more efficient large-scale farming subject to democratic control. Similarly, the call in Charter 08 to abolish government monopolies and encourage private business, would not benefit the working class. This has already been proved by massive privatisations in China. It means transferring public assets from the control of corrupt officials to equally corrupt and exploiting capitalists, rather than allowing working people to run these companies democratically to meet society’s needs. The same arguments about “fair” and “orderly” privatisation are used by ruling elites everywhere to disguise their theft of public assets. Neither is it accidental that those societies that have carried out the biggest privatisation programmes are far from being bastions of “democracy”: Russia in the 1990s, Chile under the dictator Pinochet, and China. In his recent book Da Guo Chen Lun, Liu Xiaobo attacks the “red-black” alliance between CCP officials and the rich. He argues that, “in a healthy market economy, there is an anti-monopoly law.” But regardless of what laws exist on paper, in the real world of capitalism, wealth and power is increasingly concentrated in a few giant companies. In the US, which is Liu Xiaobo’s model, we see a dramatic example of this economic law – towards monopoly – under the impact of the global capitalist crisis. At the end of 2007, the four largest banks (Citigroup, JPMorgan Chase, Bank of America and Wells Fargo) held 32 percent of all US deposits, but this has risen to 39 percent today. This is an incredible and dangerous concentration of economic power in the hands of unelected and uncontrolled institutions. In history and in reality there has never been such a “real market economy” as Liu envisages. From birth, capitalism has been accompanied by exploitation, violence and cheating for the pursuit of profits. Liberalism, and later neo-liberal and conservative ideology, have grown among intellectuals in China since the end of 1970s when the Chinese regime began its capitalist economic reform. At that time, liberal scholars formed a “friendly bridge” between the CCP regime, which was “opening-up”, and the western capitalist world. Liu Xiaobo was part of this trend. But the Democracy Movement of 1989 was a key turning point that also saw the “bridge” collapse. The CCP regime, in order to repress the revolt of the working masses and control capitalist development in China for its own bureaucratic benefits, brutally crushed the 1989 movement and its intellectual core, which had dared to show independence from the ruling group. After this, part of the former liberal-conservative layer of scholars accepted the situation with the CCP regime leading the restoration of capitalism. This layer then became accessories of the regime in carrying out neo-liberal policies and attacks on the working masses. This is why currently on the internet in China, many pro-government scholars are called “jiaoshou” (the same pronunciation as “professor” in Chinese, but loosely translated means “wolf in sheep’s clothing”). However, Liu and his pan-democratic co-thinkers have remained on the other side of the collapsed “bridge” since then. As a well-known and unrepentant opposition to CCP rule, but also to communist ideology, they have refused to cooperate with the repressive regime. Unfortunately, however, they have also refused to understand the social and political roots of the current state of affairs. After 20 years of struggle with the regime, Liu and like minded liberal intellectuals have not discovered the true force of historical change – the working masses. In 1989, they tried to block workers and ordinary citizens from joining the student-led protests, and put their hopes in one wing of the CCP top brass (Zhao Ziyang). They resisted the only measures, such as a call for a workers’ general strike and organisation of democratic defence committees, that could have prevented the regime’s bloody crackdown. As a part of the elite, Liu and his co-thinkers never really trusted or sought to unite with working people in China, despite their calls for “equality and democracy”. They criticise Chinese peoples’ violence and revolutions throughout history, and see private ownership and the market economy as the bedrock for democratic development. 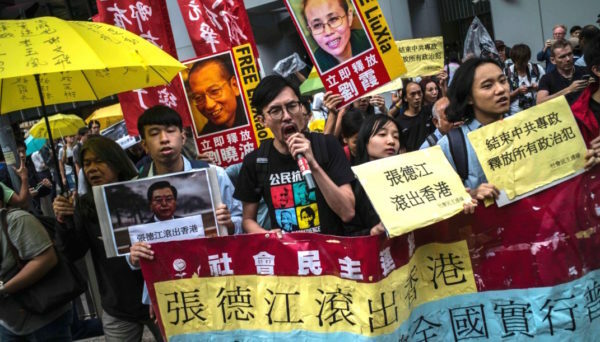 “I have always opposed sudden reform taken at one step and, even more, have opposed violent revolution… The order of a bad government is better than the chaos of anarchy.” – this from the statement Liu Xiaobo was prevented from reading aloud at his trial. In 1988 Liu Xiaobo told a Hong Kong journalist that China would have been better under a colonial system for 300 years, since Hong Kong, under British colonial rule had become a “free-market” and a developed economy. This is completely refuted by reality in Hong Kong, where a handful of pro-CCP tycoons exercise total control over the “free market”. It is a well known saying in Hong Kong that seven cents of every dollar spent goes to Li Ka-shing, Hong Kong’s wealthiest man, because of his control over telecoms, media, property, ports and retailing. Similarly, based on Liu’s thinking, India should be a developed, equal and free society because it was a British colony for nearly 200 years and today is both a capitalist democracy and federal republic – as Charter 08 calls for. However, the reality is the total opposite: India still has the largest population of poor people in the world and is full of social conflicts. With the exception of a minority of privileged capitalists states, most countries with a so-called market system and differing degrees of bourgeois democracy are still mired in social chaos, mass poverty and inequality. Liu Xiaobo’s pro-Americanism led him to support US imperialist interventions (Gandhi’s non-violence also did not prevent him supporting imperialist wars). Liu and his co-thinkers supported the US invasion of Afghanistan and Iraq, described as “just liberation wars” for the people of the Middle East. George W. Bush and Tony Blair were held up as the successors of Roosevelt and Churchill. Hundreds of millions of Chinese suffer under real capitalism, courtesy of the Chinese regime and western capitalist world, which is a million miles removed from the imagined capitalism – “fair” and “free” – that Liu Xiaobo and his co-thinkers advocate. This is why, while the regime is noticeably losing moral and public support, the liberal intellectuals are also losing support from the working masses and oppressed. In fact, even Liu himself admitted that “Liberalism is only an ideological game for the minority urban elite; it cannot get any echo from the public.” (Liu Xiaobo, 2006, Modern Dilemma of Liberalism in China). Repression, censorship and thought control by the Chinese regime are often portrayed as “traits of socialism” by liberal dissidents and the overseas capitalist media and governments. This is a deliberate falsehood, based on the criminal policies of Stalinism and Maoism, which had nothing in common with real Marxism and socialism. Genuine socialists fight to win and defend basic democratic rights including freedom of association, expression, publication and the right to strike. However, we have a very different view of democracy and human rights from liberals and supporters of capitalism. The democratic rights enjoyed by workers and the middle class in bourgeois democracies were not simply handed down by benevolent rulers, but are a result of big struggles especially by the working class. Real socialism means the election of all representatives subject to immediate recall and paid only a skilled workers’ wage. It would mean democratic elections also for the boards of companies by the working class, with board members paid only a skilled workers’ wage and subject to recall. 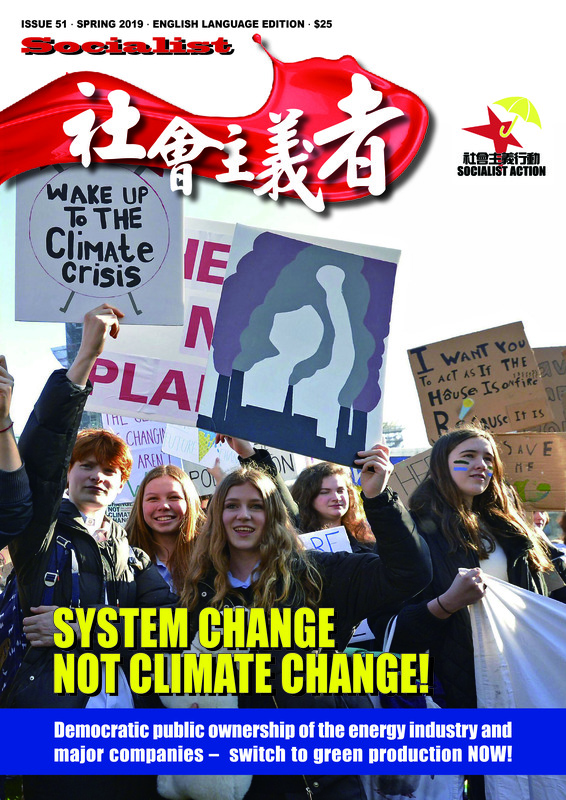 New issue of Socialist magazine (English edition) July-Aug 2017.